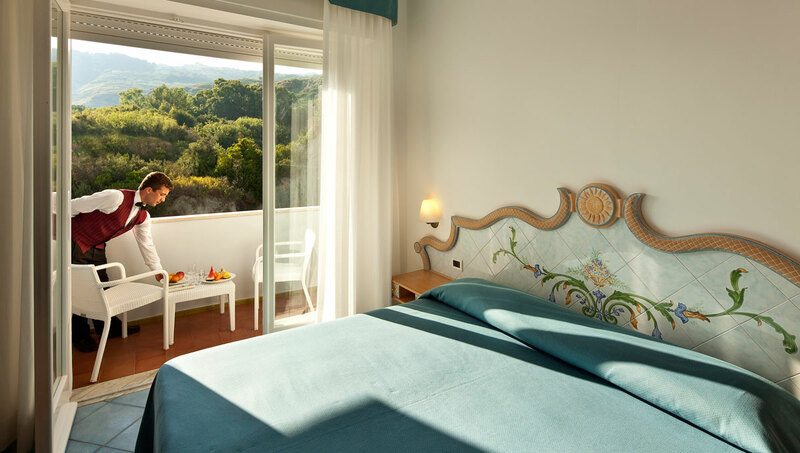 The rooms at Hotel San Giorgio Terme in Ischia are designed with elegance and taste to reflect the Mediterranean style of the island. Choose from a range of rooms that overlook the sea, the pool, and the hill surrounding the structure. 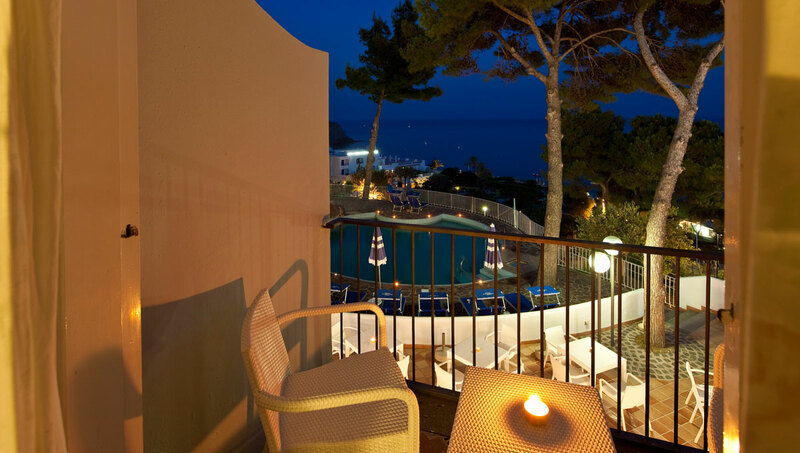 Enjoy the beautiful view from the balcony or terrace and the pleasant scents and colors of Ischia. Classic and sea-view options are available for single and double rooms. Each room features a tub or shower, WC, hairdryer, safe, phone, TV-SAT, minibar, air conditioning, and free WiFi. 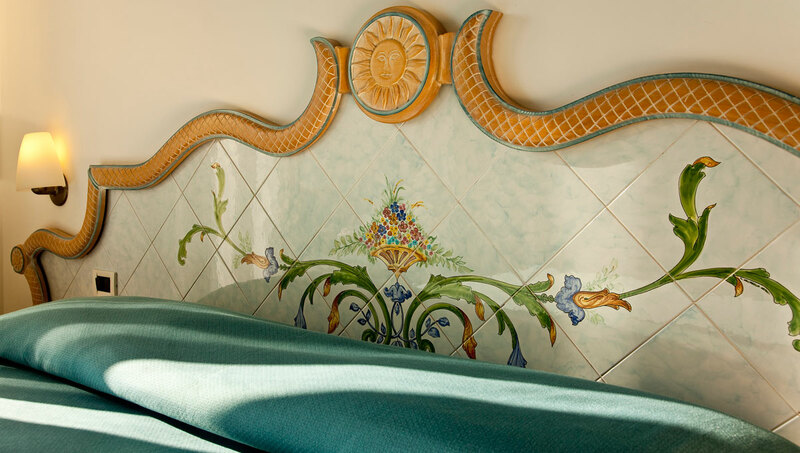 Our spacious and comfortable Classic rooms are a great option for your stay in Ischia. They feature a balcony or terrace and every amenity for a perfect holiday on the island. The balconies and terraces offer a sea view of Ischia’s charming beauty, framing it into a picture-perfect scenario. Its colors and scents will stay with you for a long time.